Cultivating is a very old gardening principal and like many old things, is quite simple. Breaking up and loosening the soil in the garden. As with most simple things, there is often more to it than first appears leading to some fundamental questions: Why do we cultivate? How should we cultivate? When should we cultivate? Not to mention it begs a distinction – what is the difference between cultivating and tilling? Cultivating as a practice is really two things: removing weeds from the garden and loosening the soil to optimize the retention and penetration of air, water and nutrients. To deepen our understanding, let’s address the questions we asked ourselves at the outset. Nature takes a toll on the soil as the elements actively dry it into a crust. Cultivating breaks up the crusty soil surface allowing for a much easier penetration of air, nutrients and water deep into the soil where plant roots can gain access to them. 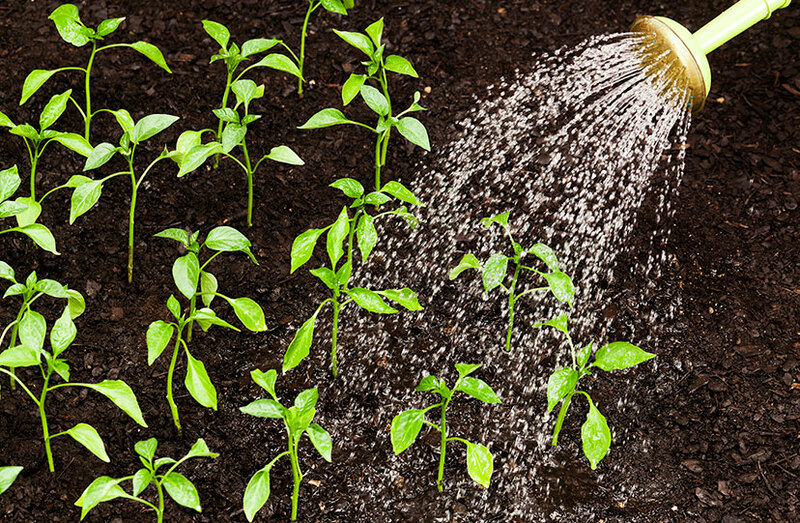 While almost everyone knows the importance of water to a garden, it is vital that air is able to penetrate the soil surface in order to benefit the micro-organisms in the soil that perform the various important tasks of improving the soil and creating nutrients for plants. Cultivating the soil also makes it easier for newly germinated seeds to sprout through the surface of the soil. While cultivating can also bring some weed seeds to the soil surface to germinate, cultivating will also draw up and expose these young weed sprouts, leaving them to die when left exposed on the soil surface. Cultivating also actively interrupts the germination of weed seeds in general. As weeds are systematically removed it decreases competition for water and nutrients, leaving everything for your plants to feed to their hearts content. Cultivating improves moisture penetration and thus helps with water retention. As more water is retained there is obviously a reduced need for supplemental watering. Last but not least, a cultivated garden with minimal weeds looks attractive and fresh. Soil must only be loosened a couple of inches deep when you cultivate. If you cultivate too deeply you will only encourage the surface to dry out faster. When cultivating, care must be taken to not disturb plant roots, which will cause damage to your plants. Cultivating between the rows and not getting too close to your plants will prevent damaging roots and the plants attached to them. Whenever you top dress the soil by applying compost or organic fertilizers, shallow cultivate to loosen the top crust of soil for integration of added nutrients and to reduce runoff from rain. This will also kick start a process that earthworms and micro-organisms can complete by doing the work of fully integrating the nutrients deep into the soil. Tilling is actually a form of deep cultivation that is necessary when preparing a new garden bed or when adding large amounts of organic material. Tilling will cultivate the soil 8-10 inches deep, perhaps even more if you are creating a new garden bed in an area where the soil is very poor. You can also till at a more shallow level of 4-8 inches when mixing soil amendments into your bed(s). This is ideally done at the end of the growing season. Autumn or fall tilling also provides the opportunity to supplement the soil with rough organic amendments that decompose slowly prior over the winter. This is a near-perfect feeding situation for plants going into the next season. This is not recommended however unless your plan is to add substantial amounts of organic amendments to improve the soil. Some gardeners do not like to disturb the building of micro-organisms and earthworms naturally, other than when they are preparing a new garden bed. Digging in soil amendments every few years in fall can be done to a rather shallow depth, allowing nature to do most of the work. Once spring rolls around, till as normal when preparing to plant. Most of the reasons for tilling are similar to those for cultivating with some differences. Soil tends to become compacted over the years due to rain, foot traffic, etc. Air pockets that are created by the deep loosening of soil facilitate air and water penetration for plants to use. Air penetration is also important to the micro-organisms in the soil that perform all kinds of important tasks creating nutrients for the plants (as noted above with cultivation). Loosened soil makes it much easier for roots and root vegetables to spread out throughout the soil. This is very important if you have clay soil. Tilling is also useful when turning over a bygone crop after the season. While not all gardeners agree about the necessity, frequency and depth of cultivating and tilling, all of what is noted above is generally accepted practices. Much has been written about no-till methods employing the theory that soil should be disturbed as little as possible. 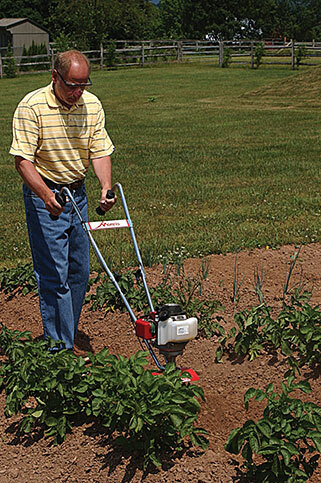 While this may be important in acreage farms focused on reducing erosion, it may not be practical for backyard gardeners without the proper equipment found on large farms.